The Mega Joker Pub Video Slot is a true classic in the NetEnt arsenal. This is the type of slot machine you would expect to find in a local pub anywhere in Europe. The fruit symbols are a traditional feature in these types of machines. Whether you are on a mission to play for free for the fun of it, or you want to engage with real money; this classic casino game offers something for everyone. It is safe to say that the graphics will not instantly jump out at you, but there are many alluring features to this old school gem. At first glance the appeal level for Mega Joker is a little misleading, but as you dig a little deeper into this classic casino game it begins to grow on you in a hurry. There are actually several exciting features about the Mega Joker Pub video slot that lure the gaming enthusiast. The first reason this slot is so popular is because it offers a RTP, or return to player of 99%. That reason alone is enough to make anyone get excited about this slot. Most casino slots offer a RTP of 90% and up, but rarely do they offer 99%. Another reason for the popularity of this slot is the progressive jackpot that keeps growing and growing until some lucky gamer wins it. The Mega Joker machine looks exactly like what you would expect a traditional fruit machine to look like. It is very fun to play and the chances of winning are tremendous. It is also nice that you can use NetEnt Touch to play this slot on your iPhone, iPad, and Android. You can play this slot wherever you go and that is a pretty good deal. The classic Mega Joker Pub video slot is a 2 x 3 reel, 5 pay line casino slots. Like traditional slots of this type are uses a variety of fruits as symbols. You will find cherries, lemons, watermelons, oranges, and grapes. There are also bars, lucky 7’s, bells, and Mega Joker symbols too. You will find 3 reels at the bottom of the machine which are used for main game play. 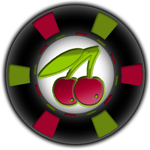 The progressive jackpot can only be won if you are playing the maximum amount on the lower main reels. The 3 reels at the top are used for bonus play. It is easy to maneuver around the buttons and everything is pretty much self explanatory. There are 5 fixed pay lines and you have the choice of betting 1 coin or 10. Whenever you bet the maximum amount of 10 you will be taken to the bonus board after the spin. The base game is played on the bottom 3 reels. If you are playing for real money you have 3 betting choices. You can bet as low as 10 cents until you get the hang of it, or you can bet 20 cents if you are feeling a like a pro. If you really want to take a trip on the wild side you can bet a euro. If you are playing for free, you can bet either 1 or 10 coins. If you only bet 1 coin than you can only play 1 play line; on the other hand if you play the maximum amount of 10 you get to play all 5 pay lines. After the spin you can decide if you want to rake in the winnings or go on to play the super meter round. As long as you play the base game with a bet of 10 you can play the super meter round as well. These are the 3 reels at the top of the machine and you will automatically get to use all 5 pay lines. The fun is doubled in this round. You can bet from 20 to 200 times the coin value. Part of the thrill is gambling your winning from the base round in the super meter round. There is more money to be won, but of course there is also more to be lost. You have to make the right choice of banking your winnings or taking the risk. The most you can win in the super meter round at one time is 2000 coins. As we mentioned earlier the only way to win the progressive jackpot is by playing the base reels. This jackpot continues to grow until the lucky gamer spins up 3 Mega Joker symbols. If you are only betting 1 you limit your chances of hitting the jackpot because you will be limited to 1 pay line. However, if you are betting the maximum of 10, you will have 5 pay lines to try to get 3 jokers in a row. The jackpot always resets at a hefty amount so do not worry; keep chasing the rainbow. NetEnt is respected for producing some of the most thrilling slot machines in the business. The Super Nudge 6000 Pub Slot is actually similar to the Mega Joker slot in that they both use a 2 x 3 reel operation. Both of these classic machines use fruit symbols, but after that the differences begin. The Silent Run video slot is another popular casino game in the Net Entertainment inventory. It is a non progressive slot that uses 5 reels and 25 pay lines. There are wild symbols and multipliers, but no free spins. There is something very alluring about a progressive jackpot that just seems to appeal vastly to dedicated game enthusiasts. The thrill of pursuing the jackpot is enticing and the fact that you can use NetEnt Touch to play this classic slot on the run. You cannot beat the 99% RTP either. The Mega Joker Pub video slot may not be full of the bells and whistles associated with some slot games, but when it offers quality, thrilling game play; you really do not need them. This slot is fun to play; especially if you like winning.